He is believed to be in a critical condition. A THREE-YEAR-old boy was airlifted to hospital today after an incident at a swimming pool in Co Cork. Gardaí said that the boy was hospitalised after being airlifted at around 2pm today from a leisure centre. 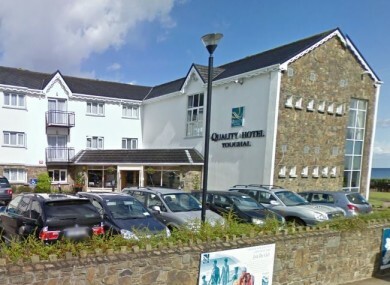 The incident involved a swimming pool at a leisure centre in the Quality Hotel in Redbarn, Youghal, Co Cork. RTÉ News reports that the boy is in “critical” condition. The Coast Guard told TheJournal.ie that it got a call at 2pm seeking assistance after an incident at a swimming pool at the Quality Hotel. Its Waterford-based helicopter Rescue 117 airlifted the boy to Cork University Hospital. Email “Boy (3) airlifted to hospital from leisure centre after swimming pool incident”. Feedback on “Boy (3) airlifted to hospital from leisure centre after swimming pool incident”.